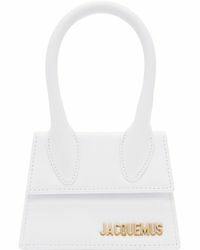 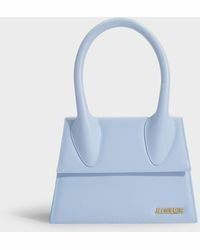 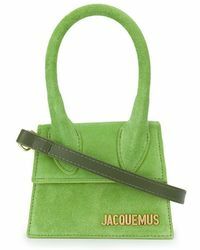 A tote bag from Jacquemus is definitely no ordinary tote bag. 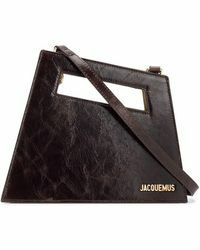 Look to this directional French label for a fresh approach to classic French design. 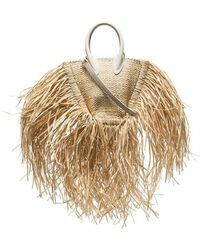 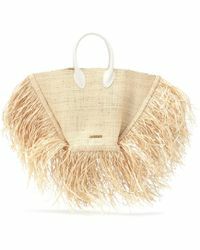 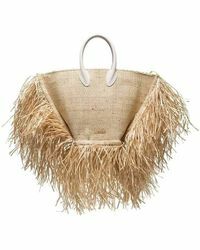 Conceptual style is what characterizes this label so expect tote bags with a deconstructed feel. 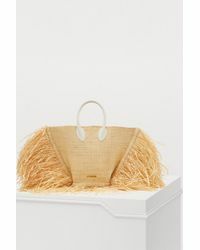 Abstract shapes make up this collection of premium leather tote bags embossed with the Jacquemus label, offering up statement style packed into one classic closet staple.